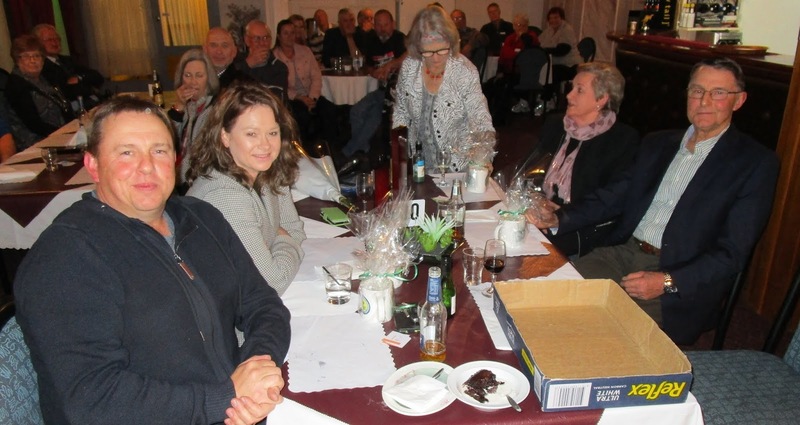 Our Club Presentation Dinner was held at the Bordertown Motel where Harold and Grant Wise of Wise Ford and Wise Farm Machinery were guest speakers. The new Andrew Read Memorial Trophy, ( In memory of our long standing member who passed away recently) for Club Person of the year was awarded to out going club captain Marlene Webb, and Helen Till came a close runner up. 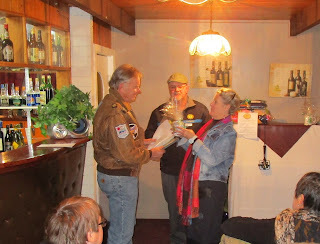 Club Captain's award was presented to our President Nugget (Greg) Hunt. 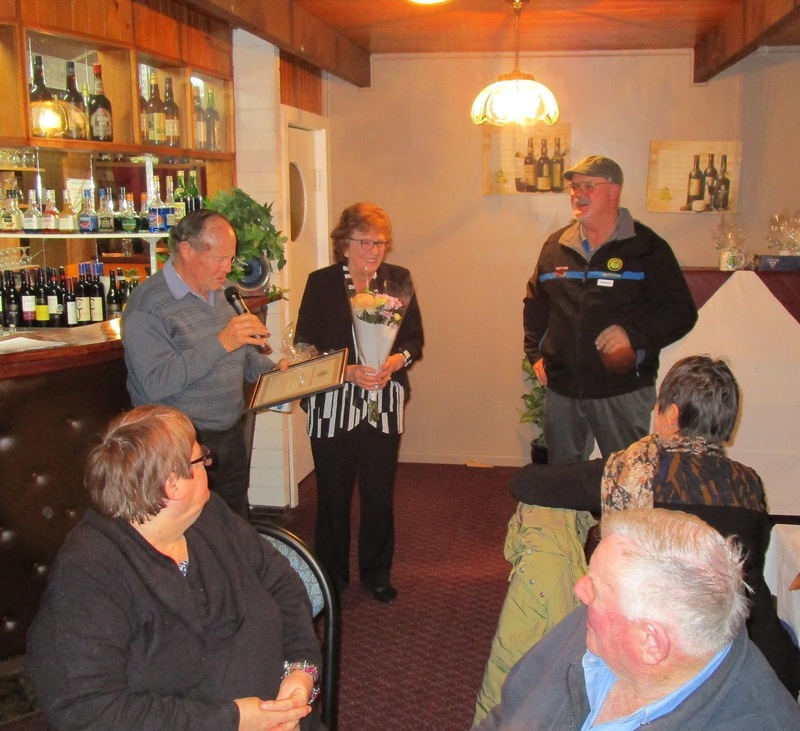 Twenty year active membership were awarded to Julie and Friend Cleggett, and to Pieter and Jennie Jacobs. 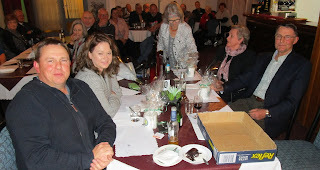 Life Membership was suitable award to Roger Mines, who joined the club in 1995, was President for 5 years and Club Captain for four. 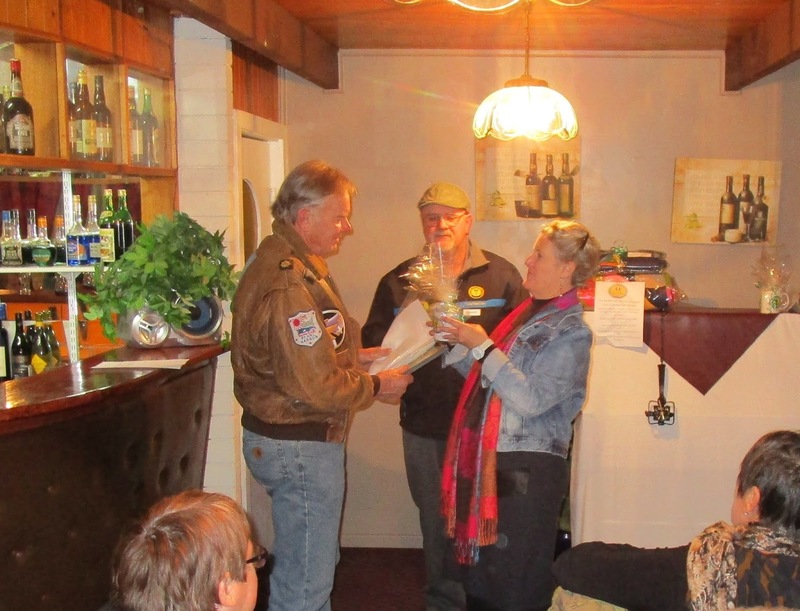 Unfortunately due to Roger's ill health , his son Hamish accepted the membership on his behalf. 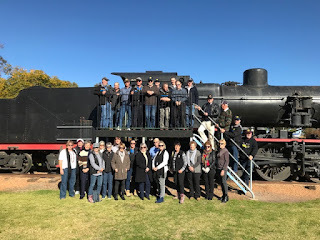 The Bordertown Vehicle Restorers Club recent visit to the town of Boort Victoria was a success with 36 members and 14 vehicles making the trip. Club Captain Marlene Webb organised the trip with help from husband Wayne and even though it was a tight schedule we all made it back in one piece and kept to the time line. 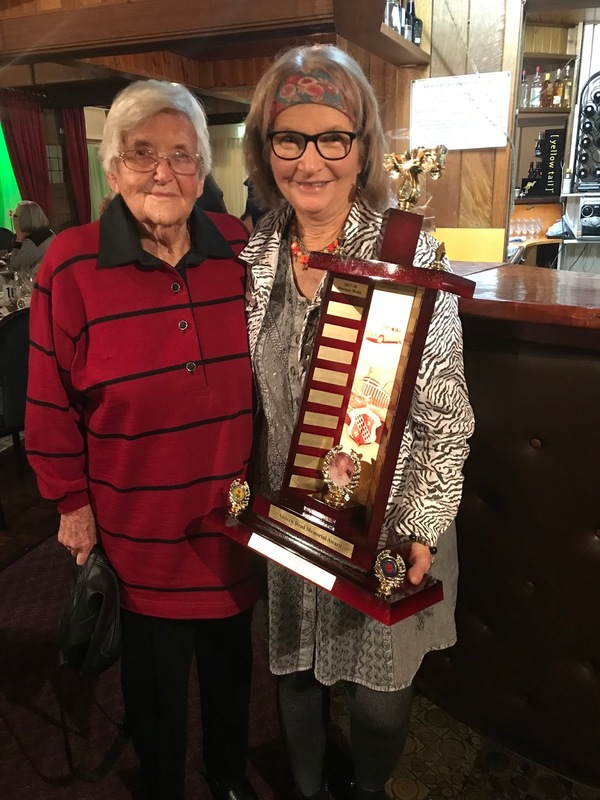 It was about a 750 kms round trip so a few of the members opted to drive their moderns but some were in their classics, like Brian & Donna Milligan in their FC 195 Holden, Helen & Ross Lutt in their 1975 XJ6 Jag, Murray and Chris Fidock in their 1982 126 Mercedes Benz, Peter & Ann Rowett in their 1988 Mercedes Benz and Margaret & Bob Taylor driving their bronze 1966 Mustang. We left the clubrooms 7 am sharp towards Victoria with a morning tea stop at the quaint little town of Jeparit. Then it was on to see the Brim Silos which was pretty awesome and lunch at the Birchip Bakery which is home to the Mallee Bull and their famous vanilla slice. 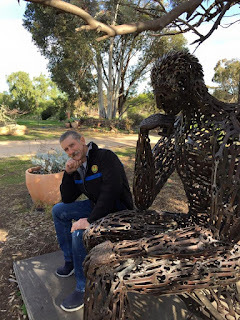 The highlight of the trip was a stop at John Piccoli, The Spanner Man to see his 100 sculptures which he has welded out of spanners scattered around the large garden. 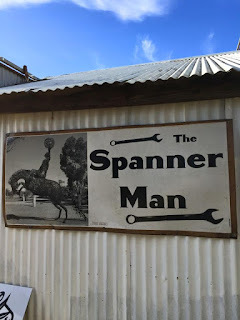 Not only was this amazing but John has been in a wheel chair since 1949 when he contracted polio and when he leased his farm he decided to do something with all the spanners in his work shop. 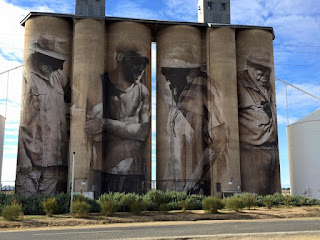 He has constructed all the art work including very large art pieces with block and tackles in his work shop. 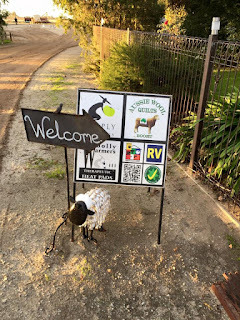 It was pretty hard to leave this place but we left there to have afternoon tea at Simply Tomatoes, Woolly warmers and Aussie Wool quilts just around the corner. These three enterprises have been established on their farm by Marilyn and Ian and it was interesting how they became established we all stayed at the Boort Caravan Park and tea was at the Railway Hotel. 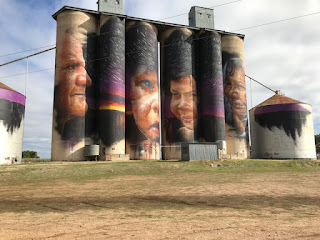 After a delicious breakfast at Godfrey and Bear we travelled to Sheep Hills Silos to view the aboriginal art. 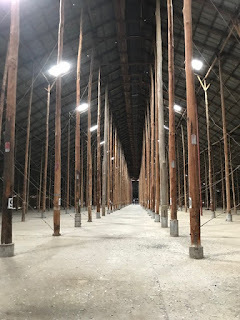 Then it was onto Murtoa to see the famous Stick Shed. 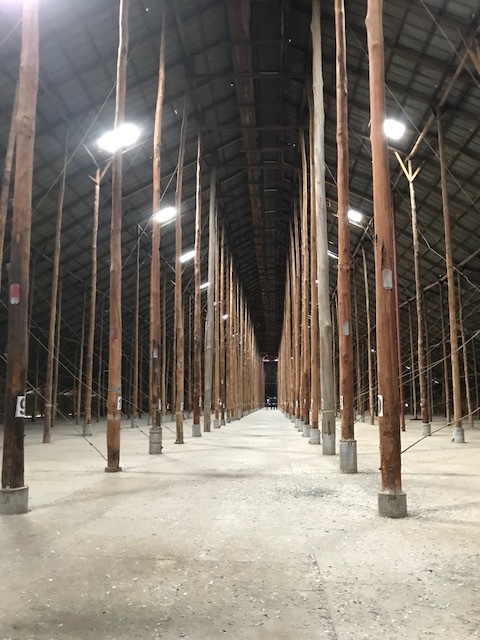 This shed was established in 1941 to house the wheat grain and it was made out of 560 poles of mountain ash. The dimensions are 900 ft long, 200 ft wide and about 60 ft high. 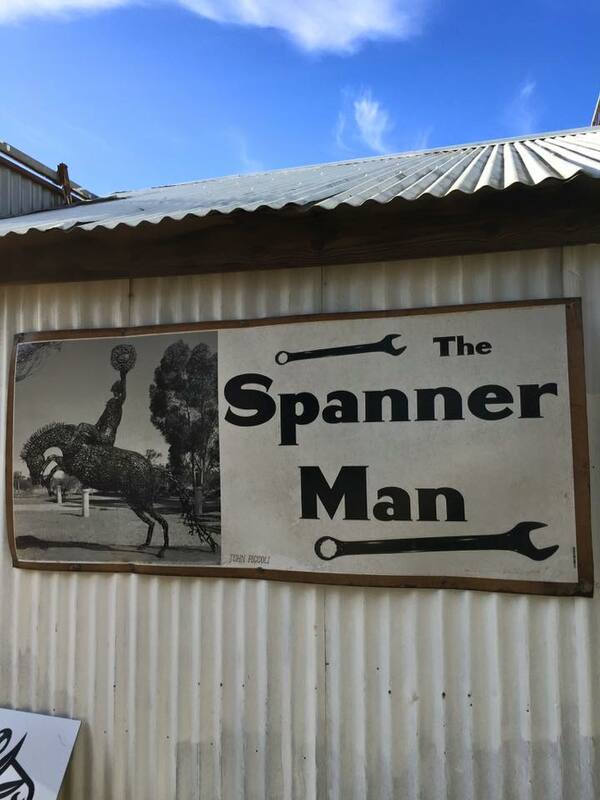 This was a brilliant bit of construction and is still standing strong to this day. 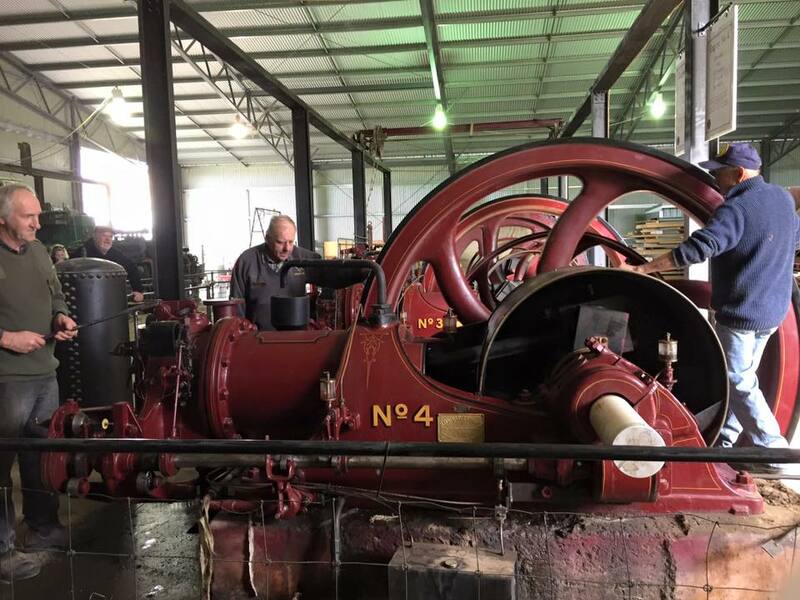 We also visited The Wimmera freezing works which houses 4 massive single piston Richard Hornsby engines. The members of the museum even started them up for us and that was a sight to see. The Water Tower Museum, just around the corner was impressive as the entire collection of the James Hill Taxidermy is housed in the water tower. That was the final part of the trip and we all travelled back to Bordertown and most were home by 7pm. 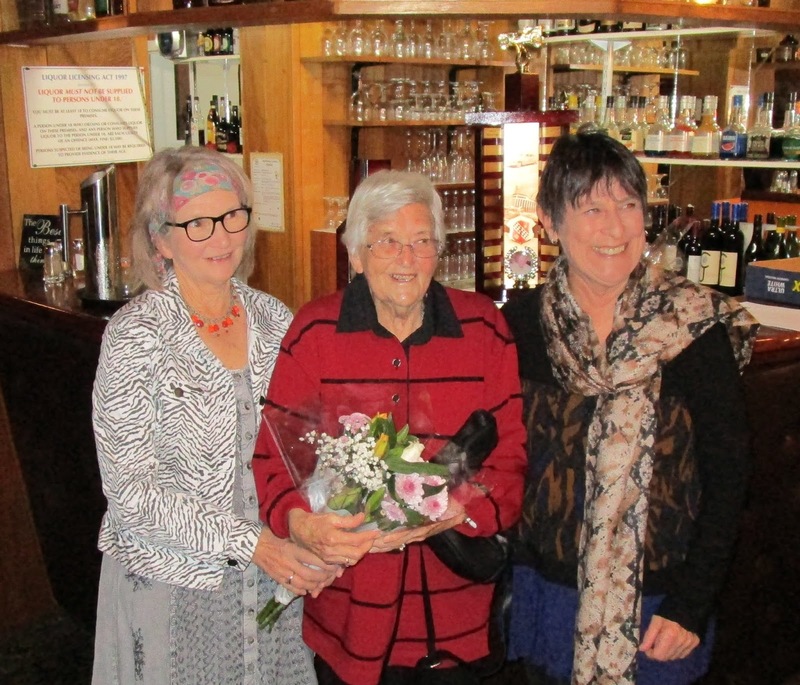 I am pleased everyone enjoyed the trip as it was the first one I had organised as an overnight adventure.